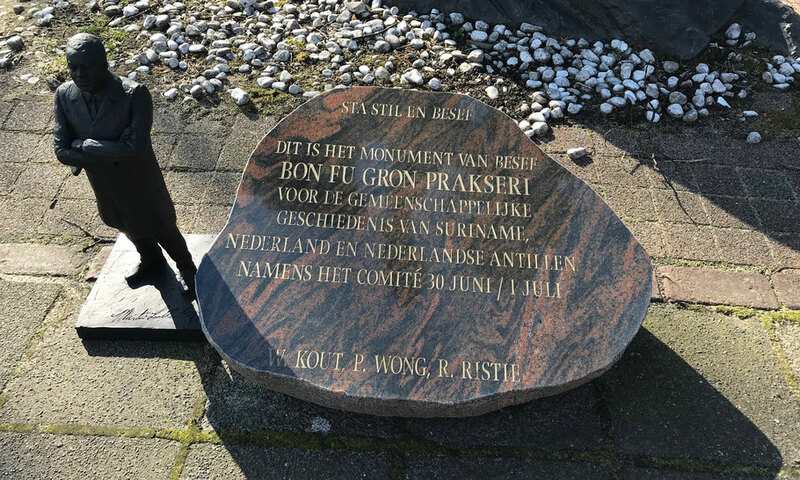 Het Monument van Besef or Bon Fu Gron Prakseri, the tree of life, is located at Surinameplein in Amsterdam, to remember the past and abolition of slavery in the Netherlands. 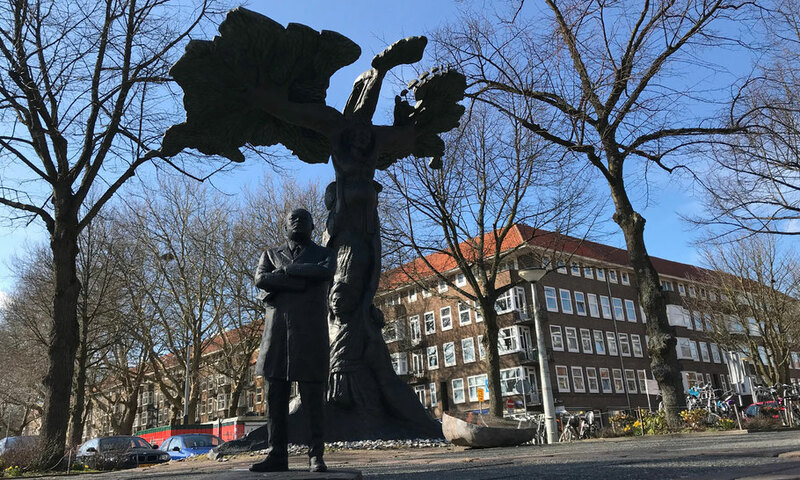 The statue by Surinam artist Henry Renfum, was unveiled in 2003, on the place where every year on June 30, Day of Awareness, a gathering takes place to remember the shared history of Surinam, Antilles and the Netherlands. On July 1 the end of slavery is celebrated during the Keti Koti Festival. Keti Koti is Sranan and means Broken Chains, it is a national holiday in Surinam.